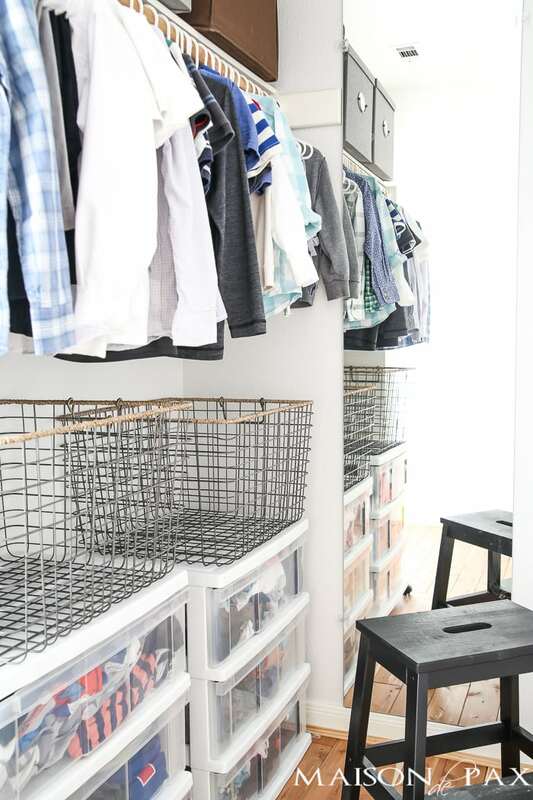 No matter the size of the closet (or the number of kids sharing it), these tips will help you create a system that will enable your kids to keep their own spaces organized so you don’t have to keep organizing kids’ closets over and over again. Before I begin today, let me tell you that I am NOT one of those color-coded people. 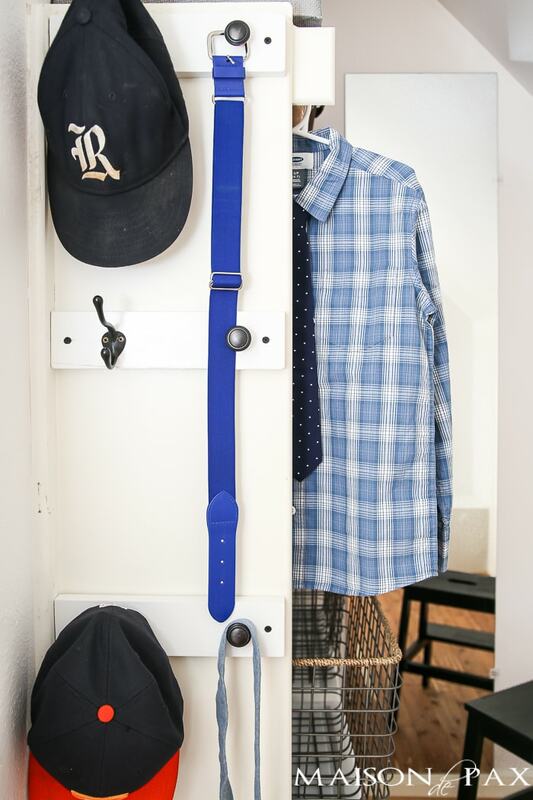 My closets and files are not always pretty to look at; my drawers are often a little messy; my pantry has extra Chick-fil-a sauce packets sitting on a random shelf… In short, my organization is not always photo worthy. 😉 BUT, I believe in organizing spaces and creating systems that enable you (or, in this case, your children) to sustain organization. Actually, two of my most popular posts ever (and especially this time of year) are all about creating habits and building spaces that promote clutter-free living. I don’t want to reorganize my home every year; I want to find something that works and keep it going. 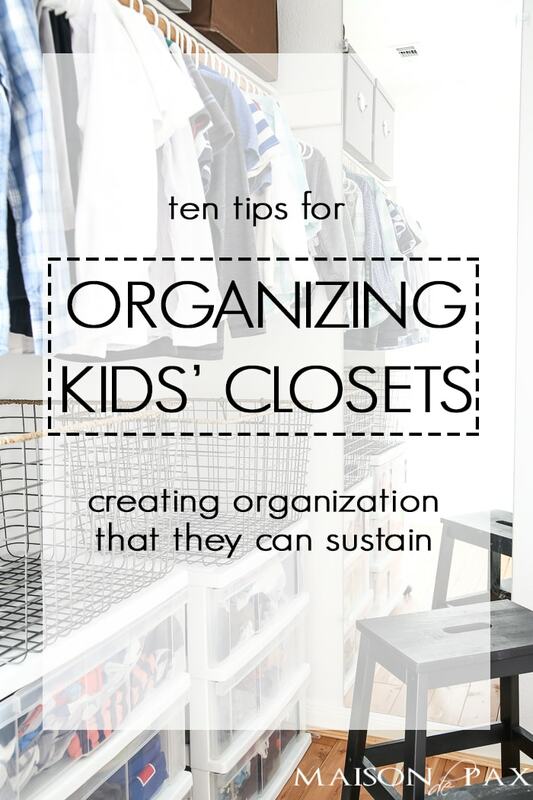 That’s what today’s post is about: some simple tips that can help you sustain organization in your kids’ closets. I redid (painted, cleaned, built hooks, etc.) 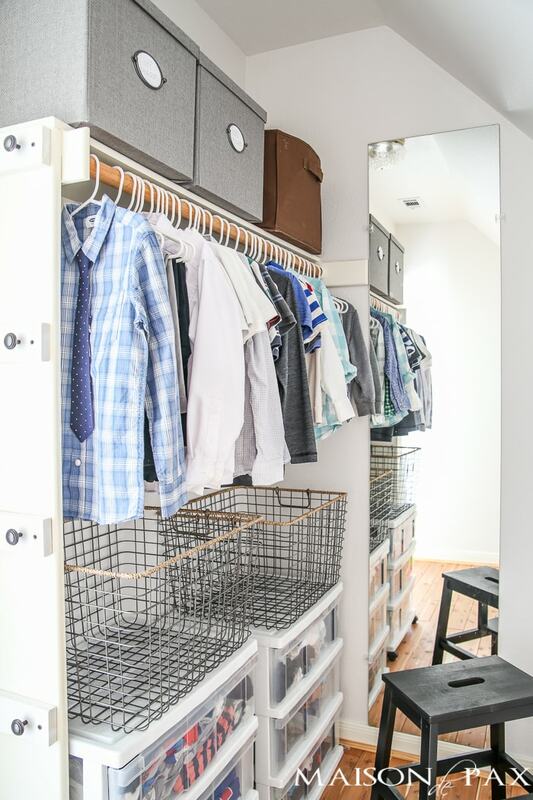 my boys’ closet last spring, and I’m pleased to say that 10 months later, my 4 and 6 year old boys are still keeping the space functional and organized. The keys to our success are what I’m sharing with you today. 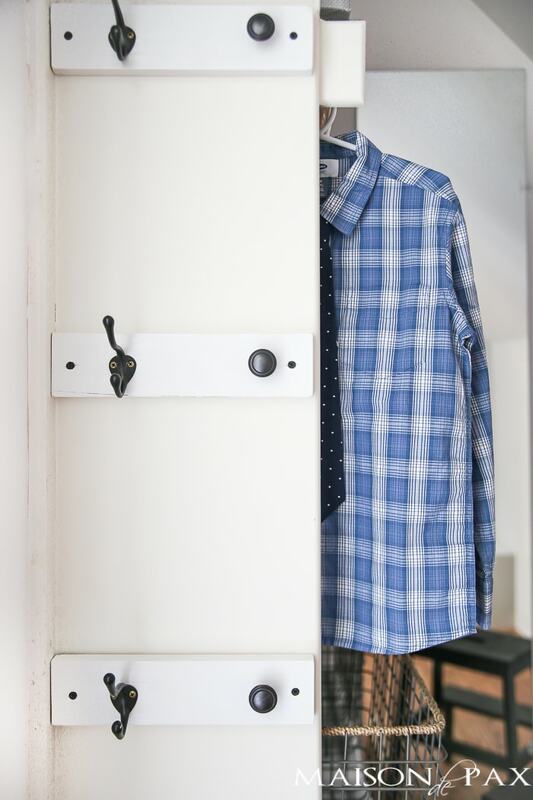 I often see kids’ closets with the bar down low, but I prefer to have drawers or other organization tools where the kids can reach and clothes up high. For #1 to make sense, you need #2. My kids can safely stand on a step stool to hang clothes, but I wouldn’t want them trying to get down boxes of toys or clothes from higher shelves. We have a couple of these Ikea ones that get used in their room and closet, and we love how sturdy and safe they are. I buy packages of 10 for about $2 from my local Target. They are so affordable and work perfectly for anything from baby clothes up to my oldest who is now wearing boys size 6/7. We may need to get him bigger hangers soon, but so far these have been great and my kids can hang up their own clothes. This is a perfect item to put up high where the kids may not be able to reach. We rotate swimsuits, soccer cleats, winter hats, and more through that box. It keeps it all in one place so that when the appropriate season rolls around, I know exactly where to find it. I say off-sized rather than too small because we obviously hand-me-down from my oldest boy to the next (which is only 20 months younger). Generally, there is a gap, though, of at least 6 months before things from my oldest will fit his brother. The off-sized box is the perfect place for those items. It also works for things that have gotten too small for my younger son when I don’t have time to go to the attic to store them away properly. I just drop them into the off-sized box when the boys aren’t around (because – inevitably – the shirt I try to take away is suddenly their “favorite…” 😉 ), and then I transfer them all to the attic when I have time. It’s not labeled in our closet, but the brown box is the giveaway. We toss toys, clothes, and anything else in there that my boys really don’t need any more. Having a spot available right there means we actually use it, and I can empty it into our larger giveaway closet whenever I get a chance. We use something very similar to these. 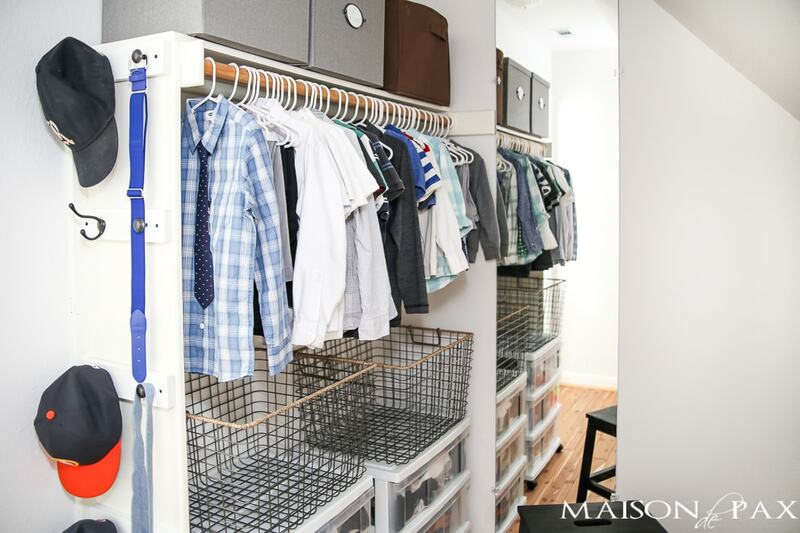 I realize that my boys have an enormous closet. This since is the first home we have owned that was newer than 1954, we have lived with much smaller closets… So I know that not everyone can fit drawers into closets, but if you can, I highly recommend plastic ones like these. Save your pretty furniture for the bedroom; my boys find these much easier to open and close, and I love that I can see inside of them without opening them. 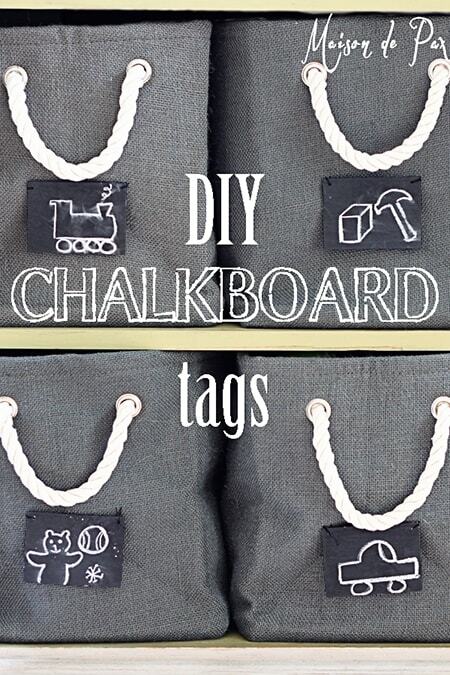 It encourages them to keep them neater! 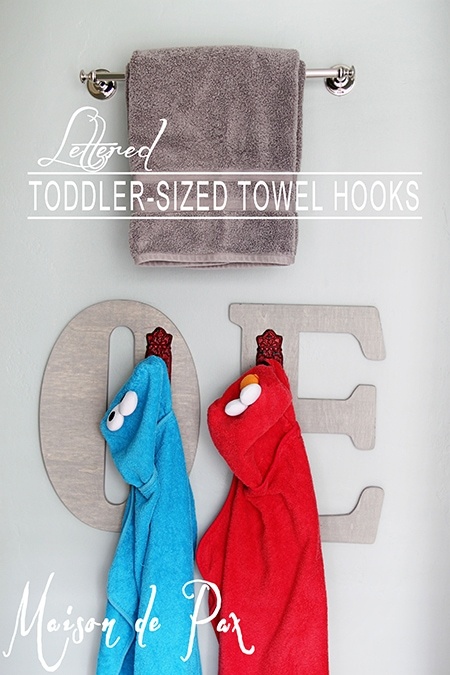 It might be that in your home there is a better spot in the bathroom for laundry; if that’s the case, great! But my boys have a teeny tiny bathroom and this great big closet, so a laundry basket is a necessity in here. If you saw my post about teaching my kids to do their own laundry, you know that having their own basket for dirty clothes is an important part! And that’s it! Those 10 things have allowed my 4 and 6 year old boys to keep a functional, neat closet for almost a year now. Don’t get me wrong, I have to tell them to clean it from time to time (ok, almost daily! ), but they know exactly how to do it themselves. There are no issues with items that don’t have a place. Hi Rachel, I completely agree with you creating systems that work so you’re not constantly reorganizing! I’m always on the lookout for new, good ones and this will be great for our little one’s closet! 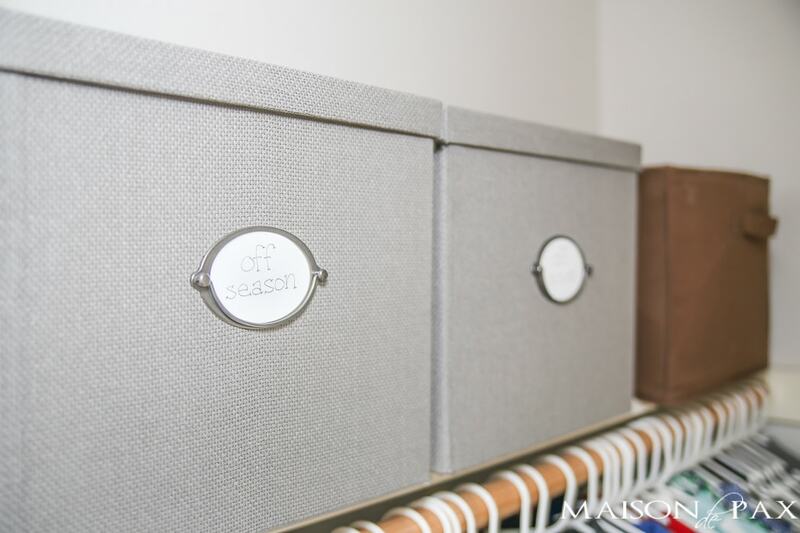 I love the look of the gray canvas storage bins, but the amazon link says the page can’t be found… any tips for finding the same or similar items? Thank you so much, Mary! So glad you found it helpful. 🙂 The gray canvas ones are from IKEA, but I know not everyone has one close enough to visit, so I try to link through Amazon when it’s available… Looks like it disappeared since I found it! Sorry about that. Here they are at IKEA; they have several sizes, so be sure to browse for the one you want! Hi Rachel, I’m just wondering… for what do you use the wire baskets? Are those your laundry baskets? This was a timely article for me because we are thinking to move our youngest son out of his sisters room into his older brothers room. They also have a large closet- thankfully! I enjoy reading your blog when I can 😊.